Classic Norwegian Industrialized Black Metal nihilism and suicide! 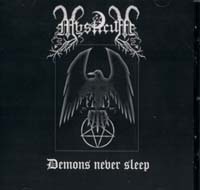 Features both 1993 demos "Medusa's Tears" and "Wintermass"! Made in Planet Satan!